The United States and Cuba have agreed to restore regularly scheduled airline services with a new bilateral agreement. American Airlines, JetBlue Airways and United Airlines have already stated they will seek service rights to serve Havana and other cities on the island. Charter flights will continue for now and there was no timeline given for regularly scheduled flights. This will also mean the return of Cubana (Havana) to the USA. In the past, when there was a bilateral agreement, Cubana along with Pan Am, National Airlines and Delta Air Lines previously flew between the two countries. American Airlines issued the following statement on the United States and Cuba reaching an arrangement that will permit scheduled air service between the two countries for the first time in more than 50 years. American has operated charter service to Cuba since 1991 with flights from Miami, Tampa and Los Angeles to five Cuban destinations: Camaguey (CMW), Cienfuegos (CFG), Havana (HAV), Holguin (HOG) and Santa Clara (SNU). American has been the leader in the U.S. to Cuba market for nearly 25 years. This year, American will operate approximately 1,200 charter flights to Cuba, more than any other U.S. carrier and a 9 percent increase from 2014. On December 12, American expanded its reach to Cuba with the launch of new charter service, offering customers travel options between Los Angeles International Airport (LAX) and Jose Marti International Airport (HAV) in Havana, and providing the only nonstop service between the West Coast of the U.S. and Cuba. As a result of today’s announcement, American expects to submit a U.S.-Cuba service proposal to the U.S. Department of Transportation and hopes for timely approval of its proposal to enable American to introduce scheduled service as soon as possible in 2016. JetBlue applauded a landmark civil aviation agreement that will allow scheduled air service to resume between the U.S. and Cuba. United Airlines issued the following statement after the U.S. and Cuban governments agreed to reinstitute scheduled air service between the two nations. This entry was posted in American Airlines, Cubana, JetBlue Airways, United Airlines and tagged American Airlines, Cuba, Cubana, JetBlue Airways, United Airlines on December 18, 2015 by Bruce Drum. 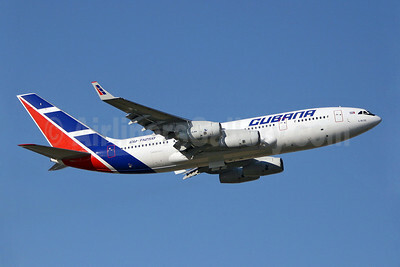 Cubana de Aviacion (Havana) has re-started nonstop flights to Sao Paulo, Brazil. 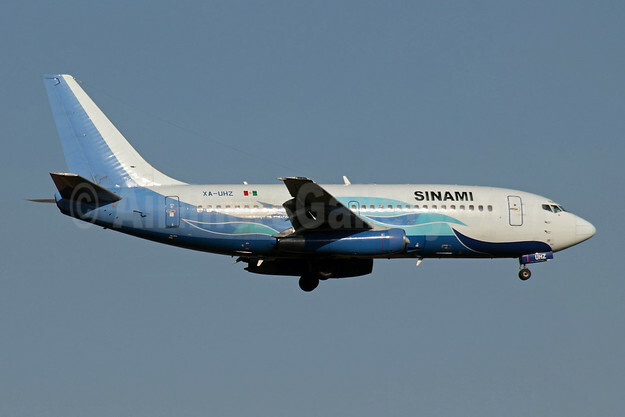 The weekly Havana-Sao Paulo (Guarulhos) route was restored on July 10 and was last operated in December 2004. The flight is operated with Ilyushin Il-96-300 aircraft. Copyright Photo: Keith Burton/AirlinersGallery.com. Ilyushin Il-96-300 CU-T1250 (msn 74393202015) climbs away from the runway at London (Gatwick). This entry was posted in Cubana and tagged 74393202015, Cubana, cubana de aviacion, CUT1250, Gatwick, havana, Il96, Il96300, Ilyushin, Ilyushin Il96, Ilyushin Il96300, LGW, London, sao paulo brazil on July 18, 2013 by Bruce Drum.